Spend more time with family this year and enjoy an exclusive lunch and dinner this Christmas and Christmas Eve at Toro Toro. 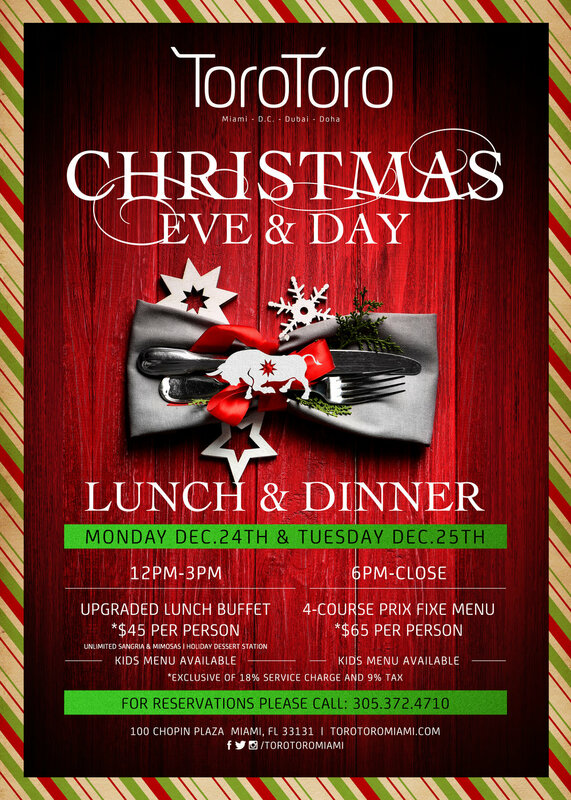 On both days an upgraded lunch buffet will be served while dinner will include a 4-course prix fixe menu. *Tax & Service charge is not included.